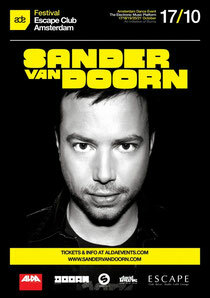 Sander van Doorn recently announced his headlining performance at Escape Club for the opening of ADE, along with teaching a production master class and finishing with an appearance at Xbox's Halo 4 "Meet & Beat" event. Sander’s a dominate force in music, having just been tapped for the Halo 4 remix album and his global touring schedule is proof of his universal many hits and anthems to his credit, he continues to grow his career and fan-base. 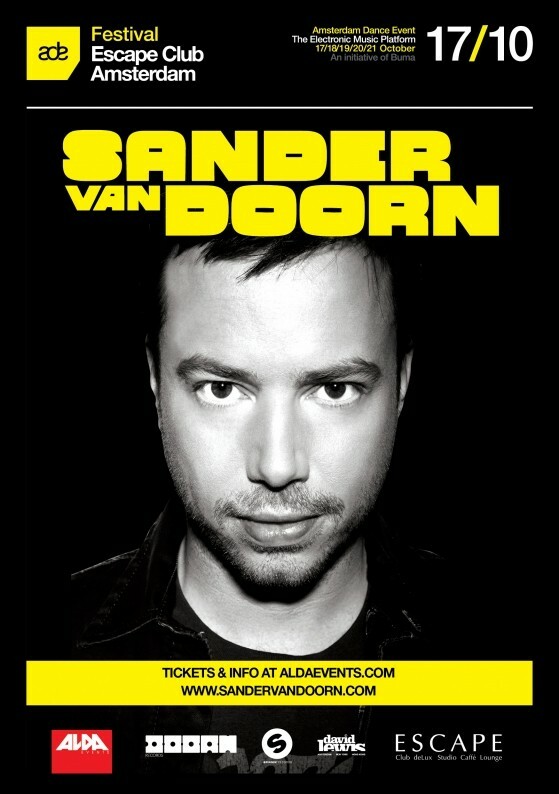 Sander van Doorn @ Escape is where he's always presented the newest music on and around his label Doorn Records, making excursions through various styles, from house to techno and all sounds in between. His event also plays host for the upcoming talents of Julian Jordan, one of the new stars of the moment who's been releasing several club hits on his own. Opening the event will be Firebeatz, a Dutch duo that's been creating a buzz in the scene with some singles and remixes for acts like Snoop Dogg, Pitbull and Timbaland. This year saw them emerge with multiple signings on Spinnin' Records. They also opened Sander’s secret Miami showcase last March to debut his single ‘Nothing Inside’.